The BIM-03-2 is pressure module that allows you to display additional pressure readings within your RTX, HDX, VHX and VFD3 (rev G) gauges. The BIM-03-2 utilizes Solid State Pressure senders to give you phenomenal accuracy (*see resolutions in the chart below). 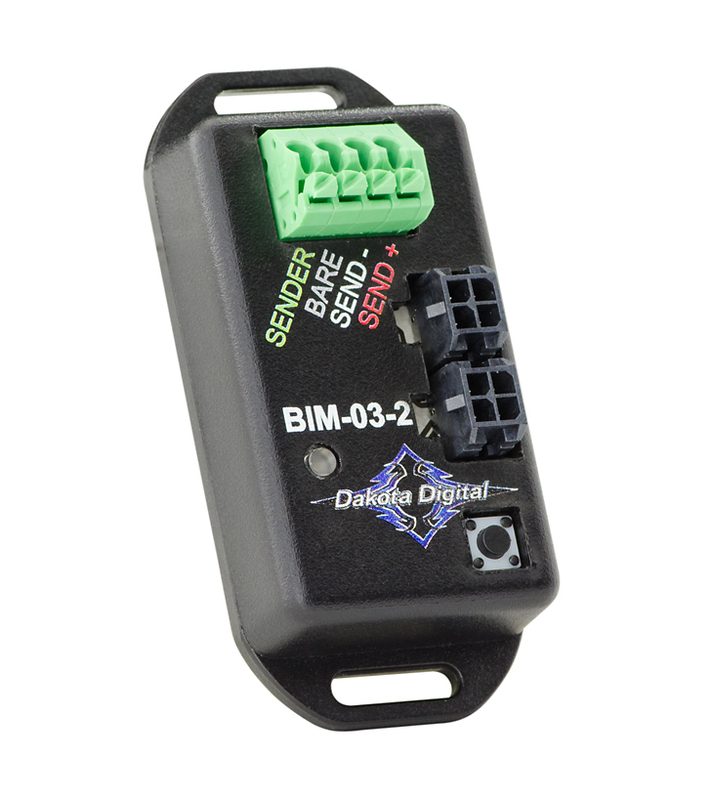 *The BIM-03-2 is designed to supply information to the compatible Dakota Digital VHX, HDX, RTX and VFD3 instrument systems with a black plastic control module. For any BIM-compatible control boxes which contain the 3.5mm headphone jack BIM input, add part number 394193 adaptor harness. Earlier instrument systems with an aluminum control module are not capable of BIM connectivity. For Diesel Fuel Pressure Applications: High pressure spikes found in many diesel applications can drastically shorten the lifespan of a sending unit. In order to protect the sensor from these damaging spikes, a snubber adaptor should be added before the sensor.